What makes Terry Lewis special? 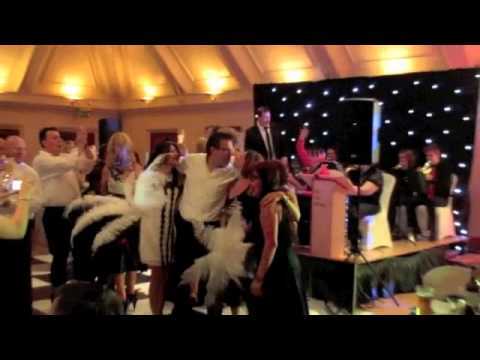 Why was he voted DJ of the year at the 2012 Essex Wedding Awards and best DJ at the prestigious Wedding Industry Awards? The main reason is that Terry genuinely cares about the success of your wedding or event. He is fanatical about his reputation which isn't just blemish free after many hundreds of weddings and parties, but is in fact recognised as the best in the business. Terry is so confident that you'll be so delighted with what he brings to your party that he offers a unique money back guarantee. If you're not 100% satisfied with his performance he will refund his fee in full. We know of no other DJ who offers this level of peace of mind. Terry offers completely bespoke packages to reflect your personality. It's your party and you can have it the way you want it. In our opinion there is no better DJ in the UK. 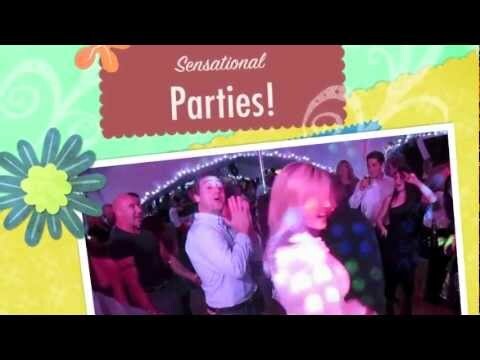 Terry can also provide mood lighting, an LED starlit dancefloor and music for civil ceremonies by arrangement. If you want to put your party in the hands of one of the recognised legends of party DJing, then speak ot us about Terry Lewis. Click the Enquire Now button at the top of the page or add Terry to your shortlist. You'll get an accurate quote plus a bang up to date availability check. Sorry, DJ Terry doesn't have any photos right now Send us an enquiry and we'll get back to you, or check out the rest of the act profile. Sorry, we don't have a setlist for DJ Terry yet Send us an enquiry and we'll get back to you, or check out the rest of the act profile. 1.Hey Terry, I have had RAVE reviews about our wedding and how amazing you were. I honestly could not have dreamed for a better DJ you had us all up and dancing away, the Soul Train was PERFECT, we honestly cannot thank you enough for making our evening so magical. When you played 'I Will Always Love You' by Whitney it broke me; it was perfect timing I couldn't help tearing up and Matt [husband] just looked at me with a big grin on his face, it was just wonderful you are truly the best DJ EVER. My favourite bit was when you played one of our favourite songs, I just looked at you hands in the air and did the heart, and you did it back, it was wicked everyone noticed and said it was just amazing. Thank you, thank you, thank you! Hi Terry, we have returned now from our honeymoon so I just wanted drop you a reply. Thank you so much for DJing at our wedding, we had simply the most amazing day of our lives, everything was perfect and we have had so many beautiful comments from our guests! Your efforts went down so well, we have had lots of people commenting on our evening party, great music and atmosphere, thank you so much for working with us to get exactly what we wished for! 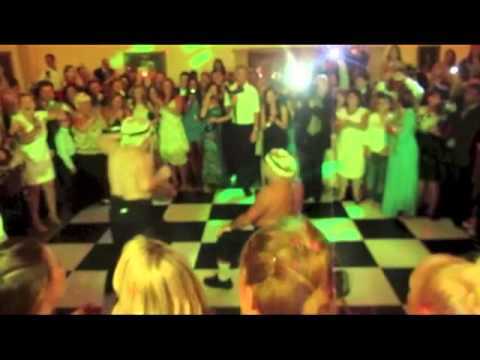 Dear Terry, We just want to say thank you very much for being our DJ at our wedding! You really made it all happen exactly the way we wanted and we really appreciate your organisation and willingness to be flexible! It was like having a good friend DJing on our big day! Will definitely recommend to anyone! Thanks again! Morning Terry, We both don't know how to thank you for how amazing you made our special day. I have had so many compliments about you and the music you played. I don't know how you did it, but it rocked and everyone was commenting on the fact that the dance floor was full non-stop for hours on end! Hi Terry, thank you so much for the fantastic job you did for us on Saturday! The whole experience was absolutely amazing. Matt is still in shock by Baby D's appearance, thanks for keeping the secret too!! I wish we could do it all again and have been thinking of an excuse to throw another party where you could DJ for us again. All of our guests have commented on how great the music and overall atmosphere was. our wedding day was the best ever. We are going on our honeymoon tomorrow and will carry these memories with us... for the rest of our lives. Thank you so much. Hi Terry, we will will pop over to you at some point (whilst walking the dog!) to give a personal thank you, but wanted you to know we had such a great time with you on Friday. All the guests have been raving about you and I hope you got the impression we were all having a great time. 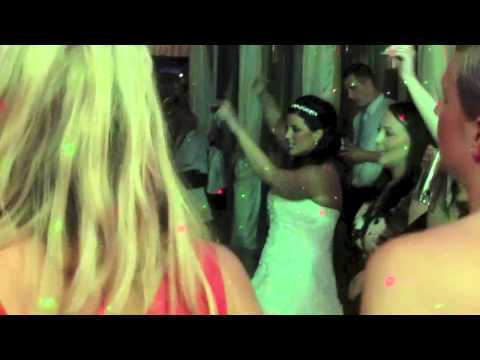 It goes without saying that the music can make or break a wedding and if the number of comments and high fives given to you that evening didn't already show how impressed my guest were, then you need to know you were fantastic!!! So glad we picked you! Best wishes to a lovely guy. Hi Terry, just wanted to say thank you for a brilliant party! All my guests commented on how good you were and everyone was dancing which is exactly what I wanted! Attached the pic of me 'djing' too. lol! Thanks again!